Studio Voltaire has invited artist Rehana Zaman to lead the sixth retreat in our Syllabus programme. The retreat, entitled 'On Group Work', is led by Zaman and will attend to how we work with others reflecting on questions of presence and notions of relation. Reference will be made to opacity, collaboration, participation, the roles we play and who or what is implied by the term ‘we’. Over the course of the weekend we will make use of immediate events, texts and films to examine the complexity of what it means to work with others. Some reading materials include extracts from Poetics of Relation by Édouard Glissant, Lies Volume II: A Journal of Materialist Feminism, and Experiences in Groups by W. R. Bion. 5:00-8:30. 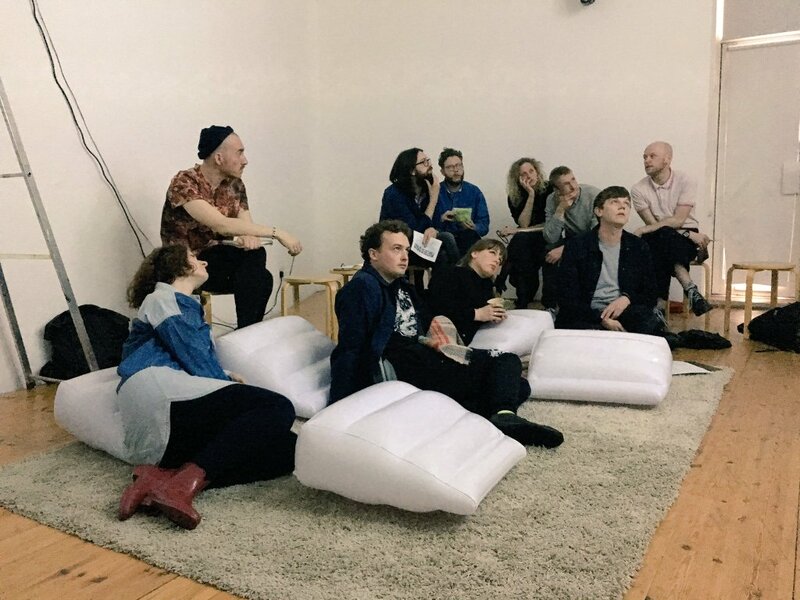 The retreat begins with selected crits hosted by IMT gallery where Syllabus artist Mathew Parkin has a solo exhibition currently showing entitled I Believe in You. Led by Andy Holden, Rehana Zaman and Deputy Director of Studio Voltaire Mat Jenner will also be in attendance. This will be followed by dinner. Please note that we have selected the participants for this year's The Syllabus programme. The Syllabus II artists have also been selected and the first retreat will be held in September 2016. To receive information for this and other programmes at Wysing, please subscribe to our e-bulletin, click here.